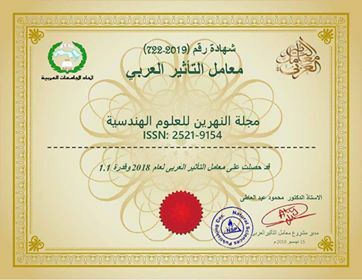 Al-Nahrain university magazine for Engineering Sciences obtained the certificate of the influence coefficient issued by the Arab Influence Factor Project, a special influence factor for magazines published in Arabic only. The certificate shows that the coefficient of influence of the magazine for 2018 was 1.1, which is good compared to the coefficient of influence of the other participating magazines. The Arab Influence Factor provides a quantitative and qualitative assessment of the ranking, evaluation and classification of Arabic-language journals for academic evaluation and excellence. This coefficient is used to evaluate the quality of these magazines. Next Next post: Students of Shatt Al – Arab School visit the Faculty of Engineering.